Over the holidays, I grabbed one of the new boxes of Plague Marines to add to my growing collection of plastic Plague Marines. 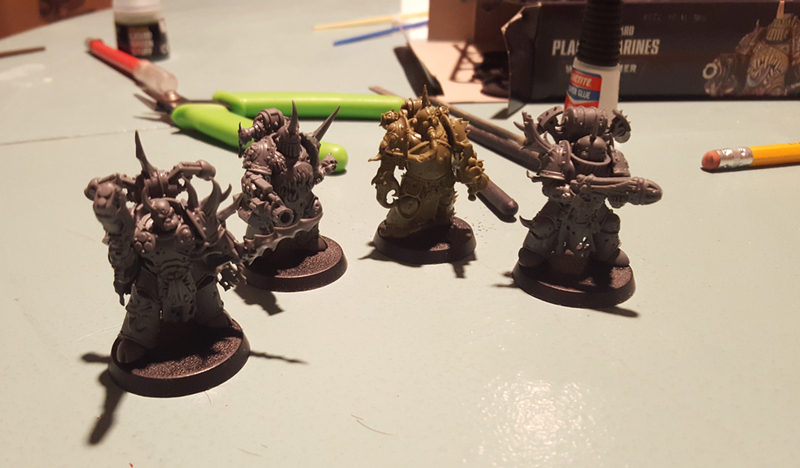 While I had initially resisted the temptation, I think I am going to slowly move all my Death Guard Plague Marine models over from metal to plastic. 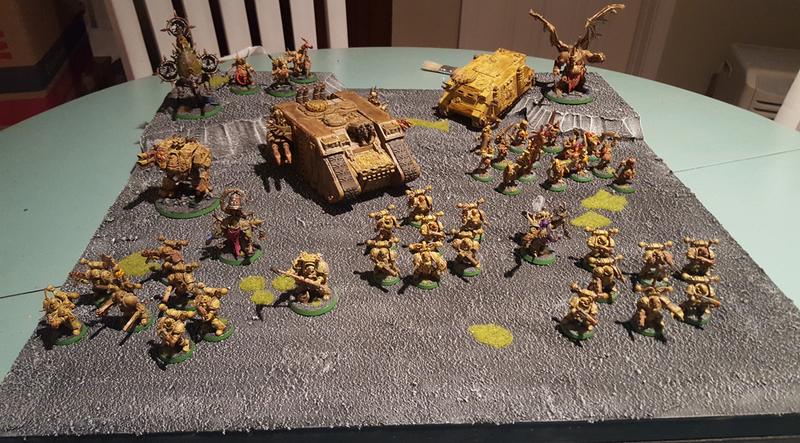 I’ve already built the squad from the Dark Imperium Box and I nearly have them all painted up. I also got the First Strike box. That means I have quite a few of the Easy-to-Build variety of Plague Marines. I wanted to see what the new multi-part models looked like. Here are some of my first impressions. The multi-part kit comes with a lot of options for the squad. In fact, it comes with enough parts to build at least one of any option (except one) you can put on the Plague Marines. That means you can build at least one Plague Marine with the Great Plague Cleaver or a plasma gun, but you can’t build two with just one box. So if you want to max out one one option, you are going to need at least two (or more) boxes of Plague Marines. You can also try to pull bits off eBay, though that will lead to a possible problem (more on that in a second). I do think having all the options in the box is a great feature. It makes life a lot easier for folks who don’t have the time or skill for conversion work. It also makes the general building process quicker.